Broom Clean Means What at Home Closings? Sellers expectations the day of closing is usually just focused on just to get the home closed. Sellers may be thinking of heading to their island to retire or downsize to a condo in RI real estate. The sellers are somewhat oblivious to what the buyer wants at this time. See we have two camps of people here: the buyer and theseller. The meeting of these two to make it through a successful closing rests truly on the shoulders of the listing and buyers’ agents and of course the attorneys. We have signed purchase and sales agreements signed by both the buyers and the sellers for a very important reason. And yes, leaving the home in broom clean condition must be explained in many ways! In the Rhode Island purchase and sales agreement, section 12 is the description of Possession and condition of property. In this section it describes that the seller shall deliver the property in ‘broom clean‘ condition free and clear of personal possessions at home closing walk through. Any items that are to remain on the premises are listed in section 8 as included with the sale of the property. If items are not listed there, then they need to be removed prior to closing of the home. No good will come from the sellers who leave extra items at the home as an offering to the buyer unless it has been agreed to in writing prior to closing. However, many buyers will consider anything left by the sellers a nuisance to them and something they do not want. I have had home closings where the sellers left things behind at their former home. At the buyers walk through the sparks start flying. Yes, the sellers should have put these items in the dumpster instead of causing issues at the closing table. When sellers do not understand what ‘broom clean’ means, the buyers attorney will withhold money at closing until the items are removed. Take all of your possessions with you prior to closing. If items are to be negotiated and stay at the home premises, they should be listed in an addendum to the purchase and sales agreement. Following these simple rules makes for a far easier closing for both parties. 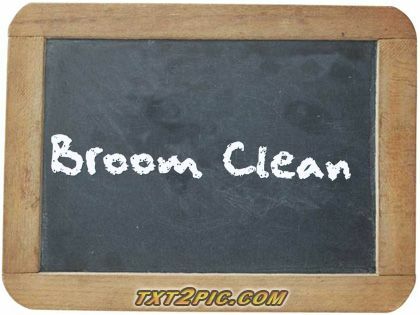 It may seem like a simple task but sometimes the way is lost...just remember what broom clean means for a quick and successful home closing. 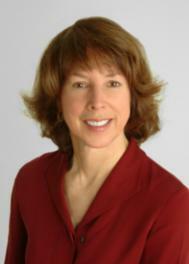 Ginny Lacey Gorman is a Rhode Island waterfront Real Estate Agent who works and knows the North Kingstown RI geographic area of homes for sale, schools, happenings and important tidbits of information well. Coastal, water view, ocean front, luxury and waterfront Rhode Island real estate are my specialty. If you are considering Buying, Selling or Relocating to Rhode Island and need a real estate Professional it would be my pleasure to help you! When you are in need of an internet savvy RI realtor® who sells homes in this real estate market, call Ginny today at 401.529.7849 or email at Ginny@RiHouseHunt.com. What is Happening in the Jamestown RI Home Sale Market July 2013?